Do you want to increase your speaking, coaching, and business schedule? Get called back, not put off? Have conversations that turn into sales? Eliminate the sales pitch, and catch and keep customers? Whether you’re business is face-to-face, on the phone or on the web, what you say and how you say it will either talk people “into” or “out-of” doing business with you. 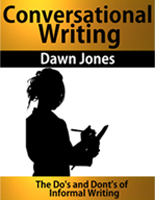 Dawn Jones will help you turn tedious sales & marketing attempts into successful bookings! Start getting booked solid today! 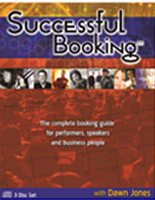 The complete booking guide for business people, coaches, speakers, and performers. 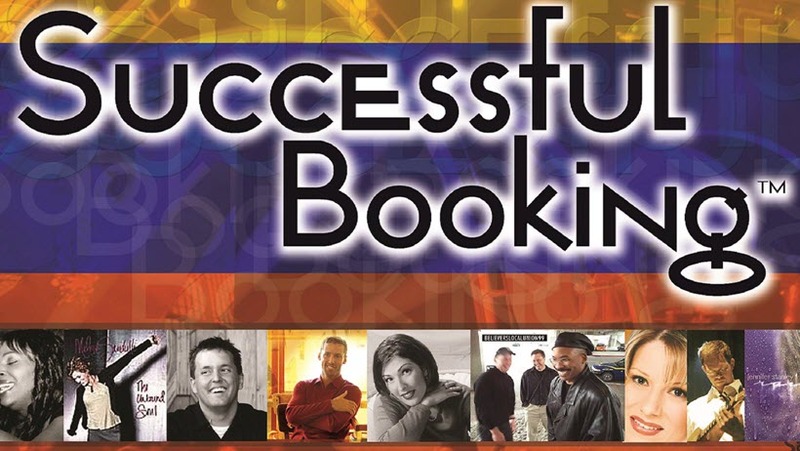 This program teaches you to build your business while booking with confidence & skill! 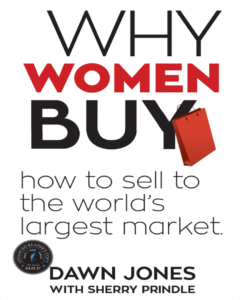 In today’s business market, women hold buying power of $4.4 trillion dollars, in the U.S. alone. Mastering the skill to tap into the world’s largest buying segment will give you the competitive advantage you need. Through scientific research, learn how women differ from men in the buying process. Why Women Buy will equip you to stay ahead of your competition and master the art of selling to half the population. Are you frantically rushing from one task to another, feeling overwhelmed and stressed with what’s due tomorrow and still not finished today? 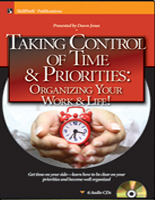 Get time on your side—learn how to be clear on your priorities and become well organized in your work and life. Putting Your Personality to Work for You! 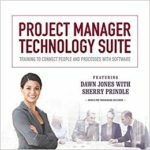 How would you like a system to manage several projects at once, and bring in all of them on time and on budget? What if you could clearly identify your priorities and consistently meet your deadlines? What if factoring in your hard-won wisdom and keenest insights suddenly became systematic for you? How would you like to have more work/life balance, and even be able to go home on time? 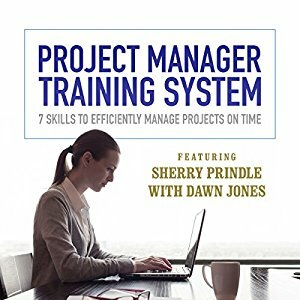 Project Manager Training System will teach you techniques that make strategic planning a breeze. This audiobook trains you to build structures into the project management skills you already have. 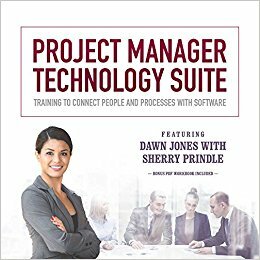 You’ll easily confront day-to-day tasks while accomplishing projects on time and establishing personal and professional balance. While unmanaged conflicts, disagreements and out-of-control emotions can harm your important working and personal relationships, effectively managed conflict can actually promote cooperation and build stronger relationships. You’ll learn how to get a handle on the feelings of anxiety and anger that can sabotage your ability to deal effectively with conflict, how to keep disagreements from getting out of hand and how to negotiate resolutions when they do. The bottom-line result is greater harmony, more enthusiasm and increased productivity. In this program, you’ll learn how to handle every difficult situation with poise and confidence. 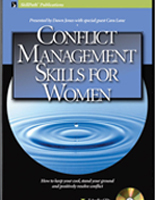 Discover how to keep unmanaged conflicts, disagreements and out-of-control emotions from harming your important working and personal relationships. 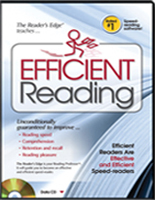 The Reader’s Edge® program includes ten exercises that guide you sequentially through the process of becoming an effective reader. The Reader’s Edge® creates a separate account for each user added to the program, allowing each to personalize the program and track their individual progress. The built-in Exercise Coach can provide feedback and guided instruction based on each user’s progress. Would you like to use your personality to successfully deal with intimidating people? Would you like to use your personality to motivate people to action? Perhaps you’d like to know if your personality is talking people into or out of your ideas? Or even discover how the best leaders face personality challenges and succeed? Well now you can! 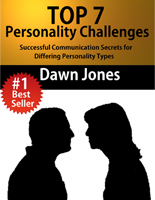 Internationally acclaimed speaker and author Dawn Jones presents her incredible “Top Seven Personality Challenges” along with how to communicate with success with each personality type. Would you like people to respect you more, admire you and buy into your ideas? Would you like people to grasp the point of your message—and remember it? Would you like to know how top speakers create memorable moments by telling great stories that leave their audience inspired, motivated, and wanting more? Well now you can! 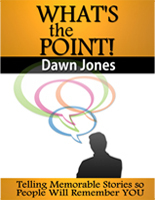 Internationally acclaimed speaker and author Dawn Jones presents “What’s The Point!” Telling Memorable Stories So People Will Remember You. Would you like to be respected and admired without saying a word? Would you like to discover and use nonverbal techniques for negotiating a pay raise at work? Would you like to overcome the fear of public speaking? Then this is the product for you! Internationally acclaimed speaker and author Dawn Jones presents “The Power of Focus, What are You NOT Saying?” Nonverbal Techniques that “talk” people into your ideas without saying a word.Dawn Jones is an internationally acclaimed speaker and professional trainer; she is passionate about helping people be their best and live life to the fullest! Would you like your teen to listen to you? Would you like to trust that your teen is making good decisions? 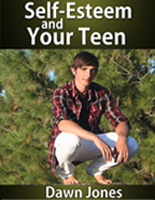 Would you like to know how to help your teen break old bad habits and establish healthy new ones—for life? 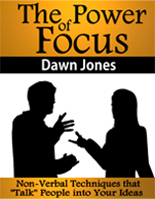 Get unusual perspective from Dawn Jones, a former “troubled teen” herself who turned her life around to become a best-selling author by applying these techniques of self-esteem. Join a #1 best-selling author and an internationally published Psychologist on an entertaining look into dealing successfully with intimidating personality types. Get prepared for crucial conversations with the top seven personality styles and learn how successful leaders deal with personality challenges. Mastery in dealing with difficult people and tense situations is a learned skill. Through this program you will gain techniques to easily and rapidly handle interpersonal communications issues. This knowledge will help you gain a leadership edge and stay in-control in high stakes communications with every personality type. www.dawnjones.net©2013 | All Rights Reserved.